Very nice personnel and comfortable installations. The building is rustic but modern on the inside. Very centrally located in Mala Strana many restaurants around. Parking included! The apartment was a basic one, clean and with the basic facilities. The location and the host were great. 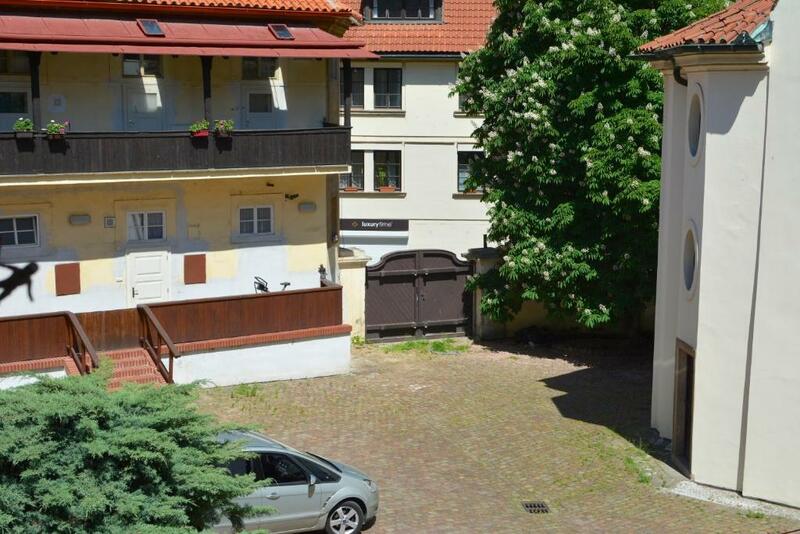 It is very close to the Vltava river, kampa island and Charles bridge. 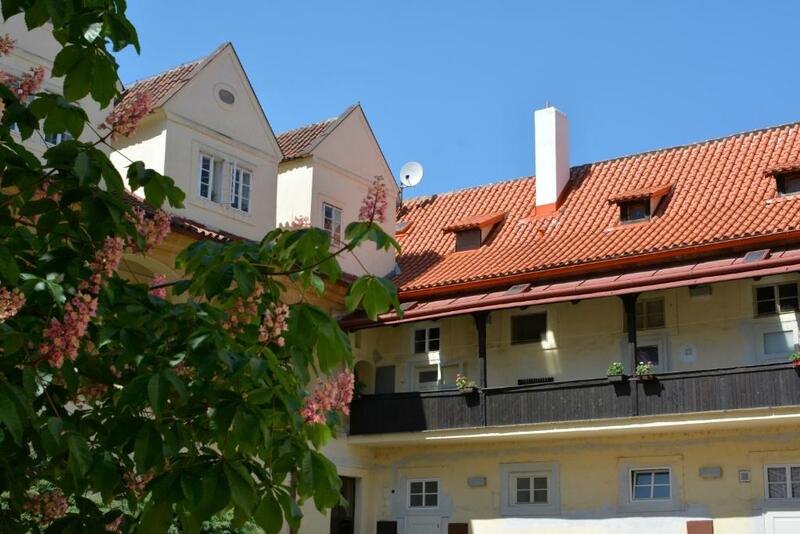 The apartment has a great location with good places to eat and trams going directly to the Prague Castle and to the downtown area. The compound is private and safe. The owner goes out of his way to make everything work for you. This is the of of the best deals in Prague. Great location, clean and comfortable apartment. All amenities available, e.g. washing powder and detergent, kitchen well-equipped, enough space for baby bed. Great location. Fantastic communication with the owner. Secure car parking. 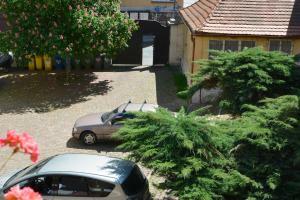 The apartment is close to tourist attractions and there are a lot of restaurants near by. It is placed in a quiet area. We had a private parking spot. Excellent location and free parking a real bonus. The owner is friendly. The apartment clean and comfortable. Very peaceful and relaxing despite being in easy walking distance if the city centre. Great location, one of the cleanest places I have ever seen, smelled nice, nicely decoreted, water in the shower was hot for two girls to take shower and wash hair, provided towels, soap, hairdryer, car parking was great and for great price, I definitely recommend this place! Good location, quiet, clean. Great pub across the road which served lovely Czech food. Supermarket handy. Close to hop on hop off bus stop. Recommend you use the green bus for the hop on hop off service. 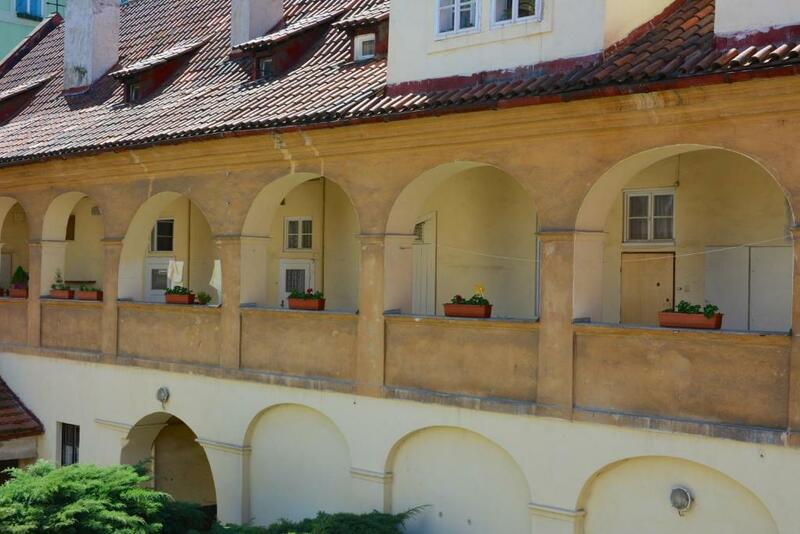 Lock in a great price for Apartment In Prague – rated 9.3 by recent guests! 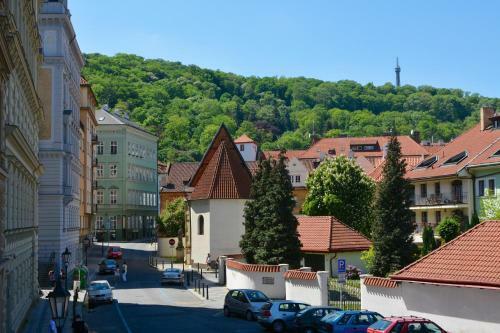 Located in the Mala Strana district of Prague, Apartment In Prague is set in a historical building connected to a church from the 13th century. It comes with a well-equipped kitchenette and free Wi-Fi. 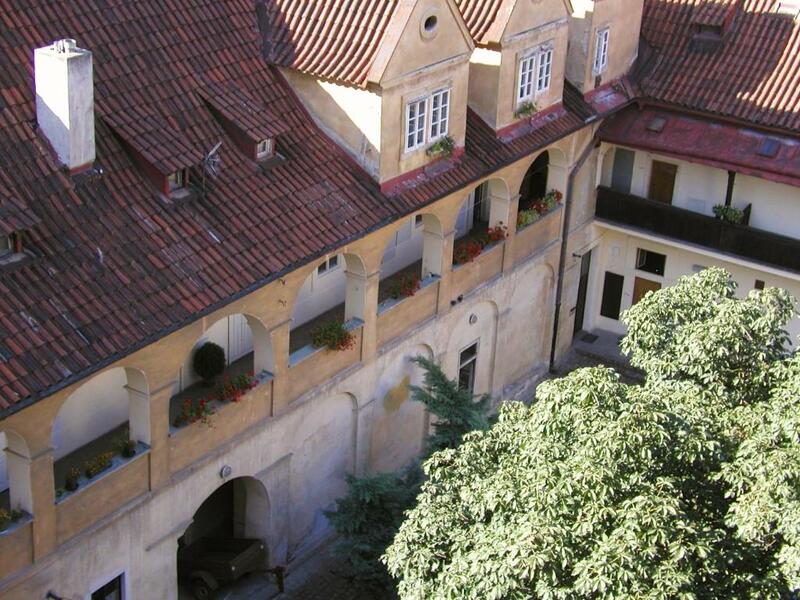 A well-groomed medieval courtyard makes your stay relaxing in the Apartment In Prague. The bathroom is fitted with a shower. 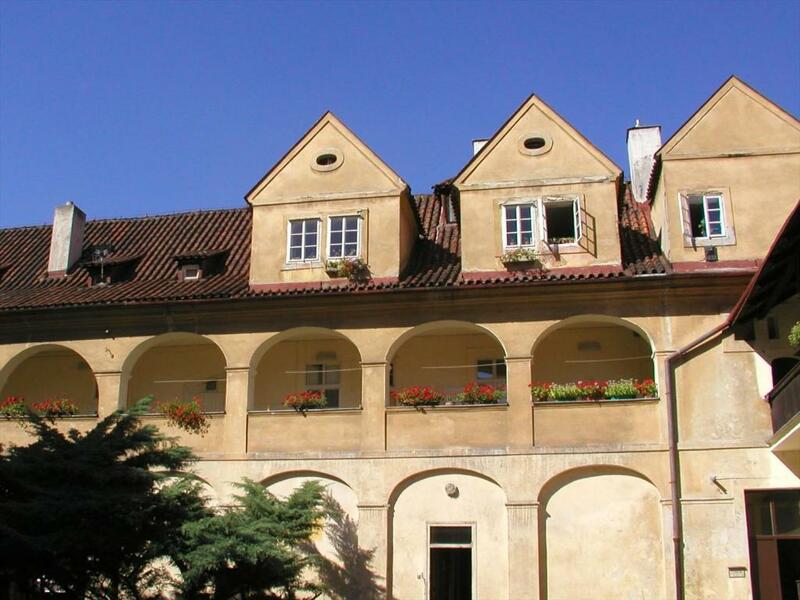 The Kampa Park is located 350 feet away, the Charles Bridge can be reached within a 7-minute walk. The historical downtown and the Old Town Square is 0.9 mi from the building. Restaurants can be found all around in the nearest vicinity. Shuttle service from the airport, and bus and train station is available by prior arrangement. When would you like to stay at Apartment In Prague? Completely refurbished and well-appointed in December 2013, this apartment in a medieval building comes with a kitchenette, a bedroom with a large double bed, a seating area and a bathroom with a shower. Its Romanesque foundations are dated around 1240, but the church was probably established even earlier. The early baroque arcade building of the hospital forms together with the church a unique composition. Both the church and the hospital were abolished in 1784. The hospital buildings were used as residential houses and the church as laundry (hence the name sv. Jana “Na prádle” – St. John “At the Laundry”). 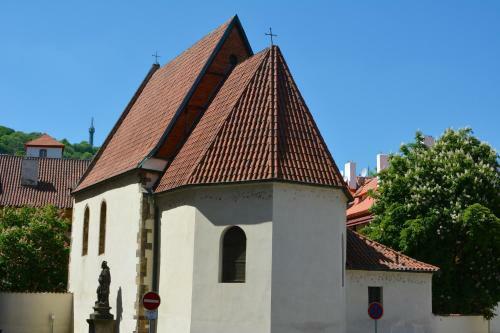 After the renovation in 1939, the church was given to the use of the Czechoslovak Hussite Church. The church was renovated again in the summer of 2002. Shortly after the reconstruction it was damaged by flood in August 2002 and had to be renovated again. House Rules Apartment In Prague takes special requests – add in the next step! It was a bit cold at night and you couldn't set the temperature in the apartment. First night there was no hot water for shower. That was no fun at all. I would suggest including detergent for the laundry machine and shampoo for the showers. Also some cooking materials like oil and salt. A toaster and drying facilities would have been good. The property had a washing machine but no drying facilities. Couldn't have the central heating on as was advised it was too expensive to run. The Cons... We received a threat of charging us + 30 euros because we used the washing machine more than he would have liked. I reported the threat to Booking immediately. Also the check in instructions relied solely on ringing a doorbell that was broken, so we needed to ask for help to locals passing by. We spent 45 min out in the cold and dark alley before checking in. Not nice. Location was perfect. Cleanliness too. The shower room in the bathroom does not have a partition which tends to get watery and dirty after the shower. The hot water was not sufficient for 2 people which was a bit disappointing. Furthermore, the blankets and pillows need replacement.